Earl Started his training with Bally President First Lady back in 1990 taking care of 3 different fitness pools, spas and steam rooms. In 1996 he changed to residential pool, spa cleaning and repairs with several companies. 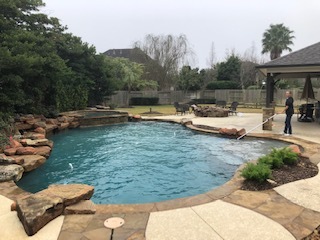 Then in 2008 Earl opened Texas Pool Techs and helping Rob Trivato, Wayne Childers, Doug Jones to all start their own division of Texas Pool Techs. Earl has spent many hour and season being trained and doing studies in Ozone, UV, Corona discharge, Copper ionization, Chemical sanitizing, and the use of environmentally friendly products. In 2010 Earl became CPO Certified with the National Swimming Pool Foundation (NSPF) seeing a growing need for training in the Pool and Spa industry Earl help another start in the pool business selling his personal route on September 1, 2010 and going to work with Pool and Electrical Products (PEP Houston) a new wholesale distributor for Houston but the 18th location for PEP, while there he started Texas Pool School to teach at the PEP facility on pool water chemistry and basic repairs this was proving to be very rewarding, on March 3, 2011 Earl was certified as an instructor for NSPF. The Texas Residential Appliance License law passed and there came the need for a tutorial in testing for the T-RAL License. Earl has now decided to concentrate on training with IPSSA material, NSPF classes to the pool professionals and maintain a few pools for training this has become a life time dream. 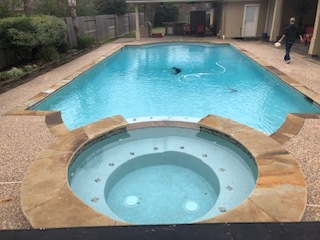 © 2019 Texas Pool Techs. All Rights Reserved.